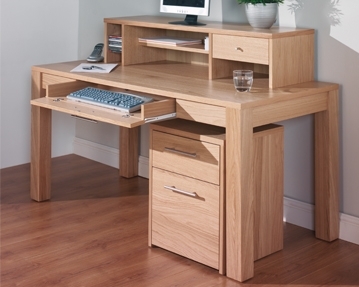 At Furniture At Work, we offer an impressive range of stylish, high quality, executive home office furniture. We have everything you need to totally transform your workspace into a comfortable, productive environment. 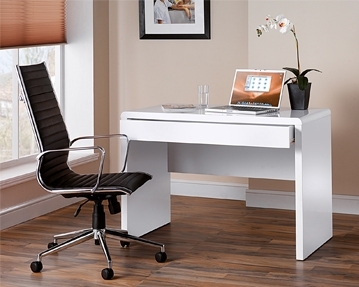 You’ll find an array of home office desks and workstations in a variety of styles, shapes and sizes. You can take your pick from executive desk designs, as well as corner, cluster and wave models. Our range also includes surfaces with inbuilt storage, and you can choose from a wide selection of stunning finishes in wooden hues such as rich oak, deep walnut and light beech. 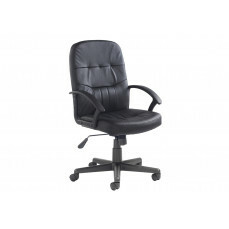 When it comes to kitting out any workspace, a comfortable, supportive executive office chair is a must. So, if you’re after the perfect seating solution for your home office, you needn’t look any further than our range of office chairs. From large, stylish leather models, to operator designs upholstered in soft, high quality fabric, to kneeling chairs that promote healthy posture, you won’t struggle to find something that satisfies your needs when you shop with us. 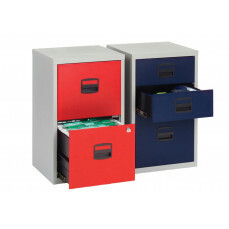 To help keep your home office neat and tidy at all times, we also have a range of useful storage solutions. 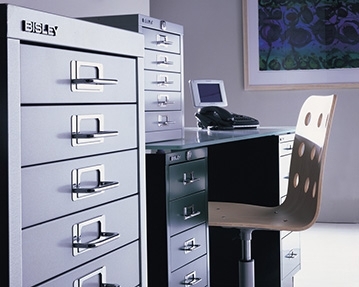 We offer filing cabinets in a plethora of shapes and styles, including tall, slimline designs and wide, lateral models. You’ll also find a selection of under-desk pedestals, cupboards and multidrawer cabinets consisting of up to 15 drawer compartments. These units provide you with the ideal place to store all of your office essentials. As one of the leading stockists of home office furniture in the UK, you can trust us to provide you with furnishings that have been built to last. From our home office chairs and executive desks, to our filing cabinets and office cupboard units, all of our products have been manufactured to perfection. 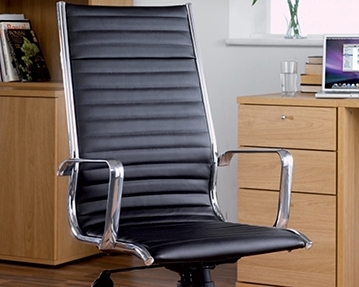 To browse our full range of home study furniture, simply click on the products on this page. For more information, don’t hesitate to get in touch with our team of experts. You can contact us by phone or by filling out our online contact form and we’ll be happy to help.